I've been so busy lately that this post - as well as many others - is a little late to go up, but I've managed to scrape some minutes together from filling Myth of the Wild orders to do it. We actually had snow the other day. Snow. It didn't settle at all, but it was falling from the sky and it was so exciting! As I said in Beating Christmas Stress (The Myth of the Perfect Christmas), we're more likely to see floods than any snow, settling or otherwise, so that was a surprise. And as we're not likely to see any more, I jumped onto a winter wonderland canvas cake for breakfast the next day. 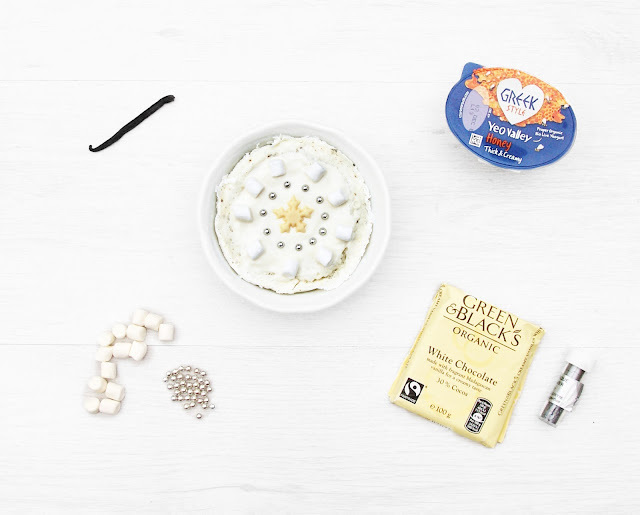 The wonderful thing about canvas cakes is that they're colourless and pretty flavourless and topped with white yogurt - it's a canvas. So any flavour or colour you do add comes through wonderfully. In this case, though, I flavoured it with vanilla bean which preserved the whiteness while adding a wonderful taste and aroma, while Stevia did its usual job of sweetening perfectly. 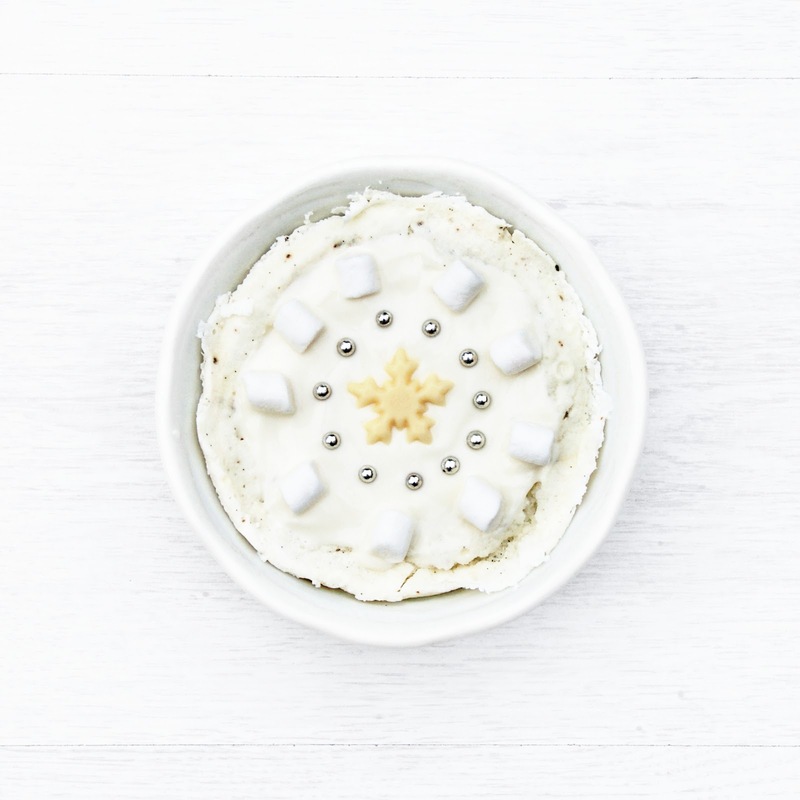 I used the basic canvas cake recipe with the seeds of half a vanilla bean, topped with Yeo Valley honey Greek yogurt, some mini white marshmallows, silver sprinkles, and 10g of Green & Black's white chocolate melted into a mini snowflake.